A heavy-duty disc harrow for optimum performance, durability and minimum operating cost.The Visio 200 disc harrow is constructed around a central robust 200x300x10 mono frame which ensures machine stability and operator visibility. The special arrangement of the offset disc gangs guarantees perfect results over the full working width. However, the transport width is under 2.50m and in accordance with road traffic regulations. The discs are especially treated to make them very hard and wear resistant. In addition the solid taper roller bearings ensure trouble free work for years. For effective work in very hard and stony condition a special Non-Stop shock absorber system is available as an option. 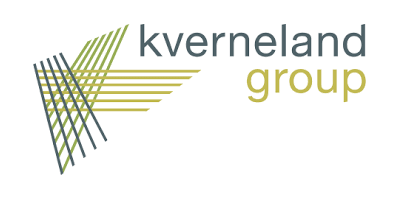 Kverneland have many years’ experience in the production of disc harrows capable of working in the toughest of conditions. The idea behind the new model is to make a high quality machine with minimum maintenance costs. The design, the different steel dimensions, the discs, the cylinders as well as all other components are chosen to give optimum performance. It is built with full hydraulic operation from the tractor-seat. The adjustment of the disc gang angles are easily done by hydraulic cylinders. The discs are specially treated to make them very hard and wear resistant. In addition the solid taper roller bearings ensure trouble free work for years. For effective work in very hard and stony condition a special Non-Stop shock absorber system is available as an option. To ensure trouble-free work for years all Kverneland disc harrows are equipped with large dimensioned high quality double tapered roller bearings, with 4x dust-seals with a separate grease reservoir. For use in extreme conditions some optional bearings support can be supplied (30 and 34 discs only). The new disc harrow features a system to control the front and rear disc gangs independently allowing optimum balance to be achieved. This guarantees efficient levelling of the soil surface under all conditions, irrespective of the forward speed. Another double acting valve is operating the carrier and the front cylinder on the drawbar so that lifting will be parallel to the ground. The depth will be controlled by a small stop valve located on the carrier cylinder while the cylinder at the drawbar also has a stop valve to control the weight transfer of the machine. Visio Care: The 4 disc gang pins linked to the Variosystem are able to break in case of collision with an obstacle (tree, rock, etc…) The discs gangs are protected in any case. Two lateral deflectors maintain the soil in the working width. On the front and rear disc gangs some inner discs can be added to each end (outside on front gangs and inside on rear gangs). This inner disc is limiting the volume of soil removed and is helping to control the ridging effect. When high forward speed (over 9km/h) optional side deflectors on front gangs will avoid ridging and keep the soil thrown by the front discs within the working width to make sure the ground surface will be levelled properly. Actipack roller: a second preparation tool! The Kverneland Actipack roller displays its superb working qualities especially on medium to heavy soils. The integrated cutting discs break the larger clods whilst the adjustable knives cut the remaining clods resulting in optimal clod breakdown. The pressure on knives can be set as high as that of the disc to provide equal firming on the entire working width. Actiring roller: strong and light! The Actiring roller is a lighter variant of the Actipack. Using the same frame structure and knife system as the Actipack,. The discs have been replaced by an “V” profile ring, this is saving 50kg/m, which is of critical importance for reducing lifting requirements for mounted equipment. The springs and knives have been especially designed to prevent stones getting into the rotor and causing blocking. Therefore the Actiring can also be very effective in light stony conditions. No reviews were found for Kverneland Visio - Model 200 - Heavy Duty Disc Harrow. Be the first to review!